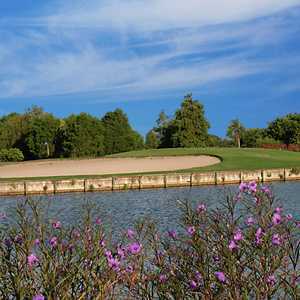 The 9-hole Cypress Links at Mangrove Bay in Saint Petersburg, FL is a municipal golf course that opened in 1998. Cypress Links at Mangrove Bay measures 1311 yards from the longest tees. The course features 3 sets of tees for different skill levels. The greens are bermuda grass. The 18-hole Isla Del Sol Yacht & Country Club in Saint Petersburg, FL is a private golf course that opened in 1977. Designed by Charles Mahannah, Jr. and Mark Mahannah, Isla Del Sol Yacht & Country Club measures 6307 yards from the longest tees and has a slope rating of 130 and a 69. The 18-hole Mangrove Bay Golf Course in Saint Petersburg, FL is a municipal golf course that opened in 1977. Designed by Bill Amick, Mangrove Bay Golf Course measures 6779 yards from the longest tees and has a slope rating of 120 and a 71. 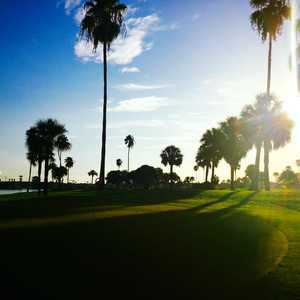 The 18-hole Renaissance Vinoy Golf Resort in Saint Petersburg, FL is a resort golf course that opened in 1925. 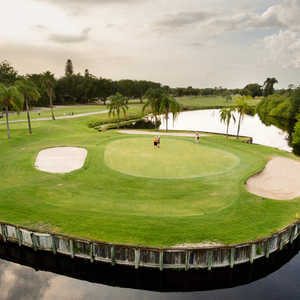 Originally designed by Donald Ross and redesigned in 1992 by Ron Garl, Renaissance Vinoy Golf Resort measures 6626 yards from the longest tees and has a slope rating of 130 and a 70. The 18-hole St. Petersburg Country Club in Saint Petersburg, FL is a private golf course that opened in 1924. Designed by Herbert Strong, St. Petersburg Country Club measures 6718 yards from the longest tees and has a slope rating of 128 and a 72. The 18-hole Twin Brooks Golf Course in Saint Petersburg, FL is a public golf course that opened in 1957. Twin Brooks Golf Course measures 2016 yards from the longest tees.